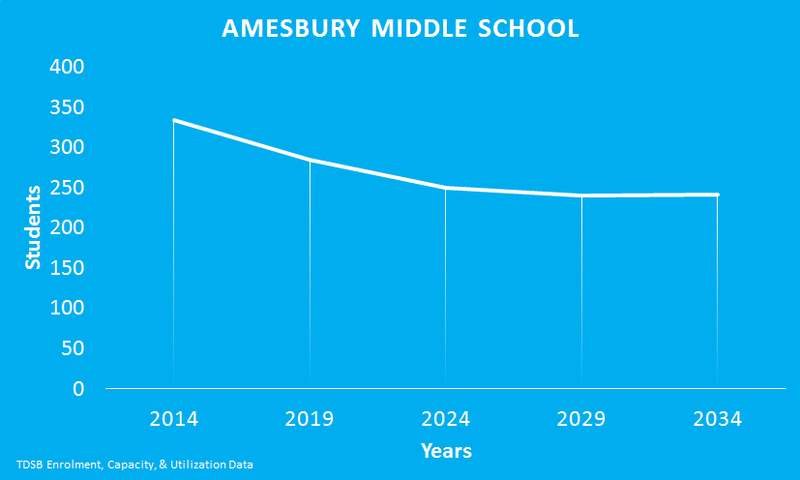 The TDSB projects that Amesbury Middle School’s enrolment will decline over the next 20 years. Amesbury Middle School is part of the Model Schools for Inner Cities Program. The school has English as a Second Language, Home School, and Behavioural programs, as well as classes to support students with Developmental Disabilities, Learning Disabilities, and Mild Intellectual Disabilities.